Building a new bathroom ceiling or modernizing an old out-dated one is not something that you do very often, so when you do start construction, you want to make sure that you do it right and that it is built to last. Proper ceiling engineering is important because that’s where all the moisture will end up, and if it’s not assembled correctly you can end up with mold, flaking paint, or even falling tiles! On the other hand, when assembled right, the satisfaction that you feel when looking up at your new fashionable facade, knowing that you built it yourself, is hard to describe! Consequently, you shouldn’t rush the process in any way to avoid mistakes, but there are certain building tips you can do to speed up the process, and we’ll be covering some of them below. 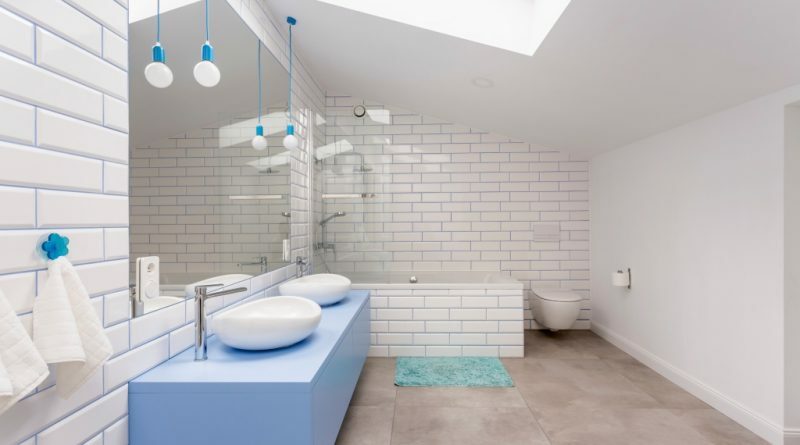 Read on to discover how to build your bathing space properly and learn about why overhead wall construction is so important. A good tip to remember is that that building a bath ceiling is not something that you normally do in one sitting, so give yourself enough allotted time to get the task done. The recommendations given below apply regardless of whether you’re building a brand new ceiling or simply reconstructing an old one. A word of caution before you start planning: if you’re working on a brand new bathing facility, never leave the ceiling construction for last! Some newbie renovators finish everything else before starting on their ceiling, but that’s one of the biggest mistakes you can make, so don’t do it! There are many unexpected things that can happen if you leave your ceiling construction and installation for last: you may discover that some tiles don’t fit or drywall will fall on the floor and may end up damaging your lavatory walls as well! These are certainly not things you want happening if you erect your ceiling last, and they are avoidable accidents that can end up costing you a lot of unnecessary money. If you’re simply updating or repairing your bathroom, then be sure to cover everything in the room with tarps or sheets to protect your fixtures from falling debris. The first step you should take is planning out the design of your bath ceiling. All you need for this step is a pen and some paper, and it shouldn’t take you more than an hour to come up with a simple logical ceiling solution. However, if you want to be more creative with your ideas: a cove, vaulted, coffered or cathedral ceiling are interesting alternatives that you can use to customize your design when remodeling your grooming space. Essentially, you need to make a plan of how you want your ceiling to look like, and then stick to it. This is even more important if you’re not working alone, as the other person needs to understand what you’re trying to do, and explaining your ideas will not be enough. A visual will make sure that you both are on the same page. Even if you are working alone, looking at your design plans as you’re working is much easier than trying to remember what you intended to do when you started your initial construction. Next, let’s examine some more ceiling formation techniques. You will first need to decide if you want to use cement boards or drywall for the ceiling. We strongly recommend using cement boards with or without some type of vapor barrier if you want a ceiling that will last you over 20 years without any need for additional re-construction and maintenance. Cement boards from PermaBase are a good choice for their durability, mold and moisture resistance, and extended warranty period. You can also opt for self-adhesive cement boards such as the ones offered by FibaTape. In case of regular cement boards, you will need some cement board fasteners to hold them in place. When constructing your bath ceiling, if you want to use drywall instead of cement boards, you can do so by applying construction adhesive to the back of the sheet and fastening with two and a half inch drywall screws into the joists. 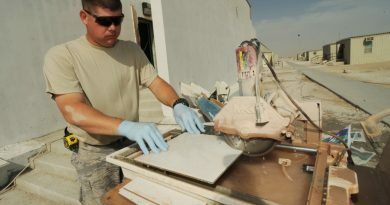 When installing ceiling panels, you must then finish the drywall by leveling the joint compound with a scraper, installing a vapor barrier and then placing the tiles, ceiling cladding panels or popcorn directly over it, but as mentioned above, cement backer board is a better bathroom ceiling construction material. 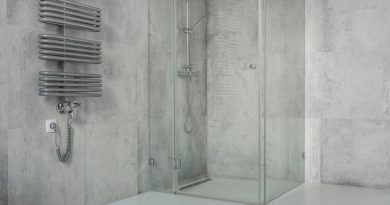 Not only are cement boards more durable, but they also offer improved mold and moisture resistance, effectively eliminating two of the most common problems you’ll have to face in the washroom. When trying to get a handle on bathroom ceiling design and development, you must remember that this step can take you anywhere from several hours to several days, depending on the size of your facility and on your experience. Once you get the hang of it, and you attach a couple of cement boards, you will see that things go quite quickly. You can also install a vapour barrier on the ceiling, if you want. You should especially do so over the shower area, as that’s where most of the steam will be coming from. Always make sure the boards are firmly attached before moving on when roughing-in your bath! It should go without saying that this is a two or more person job since you need to hold the boards in place while you install them. There are also “drywall lifts” you can rent to aid in hoisting up the materials if you have no choice but to do the work alone or you can make a pair of deadman braces from 2×4’s to help hold the building materials against your framework as you work. The job of constructing a residential ceiling can range from simple to complex depending upon whether you want just a simple popcorn surface, to paint your ceiling or something a little more interesting such as a dropped, false, suspended, or vault ceiling design. There are many decorative ceiling tips and ideas you can incorporate into your décor to jazz up your washroom. Since your bath ceiling is the largest uninterrupted wall in the room, your finish and adornment can have a dramatic impact on the overall look of your lavatory. A high ceiling can add volume, and a lighter color can also make space recede. The finish of your ceiling whether it is vinyl paneling, ceramic tile, beaded wood paneling or wood planks to add a warm, rustic feel to the room, must be able to stand up to heat and humidity. The fixtures that you hang such as cove lights or track lighting can also create mood and distinction when constructing your bathroom ceiling. And don’t forget about ventilation, you will also need a strong exhaust fan in the space to move the warm moist air from the room to keep it dry and mold free. Bathroom ceiling construction usually takes 2 to 4 days, depending on how things go. 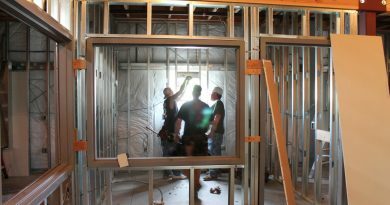 Nothing is too difficult, and these home building tips are a good place to start, but remember to ask a professional for help if you’re not sure about something, as it’s best to ask instead of doing something wrong and then having to pay for it later! Bathroom Cladding – A Cost Effective Wall Covering?